Its back! 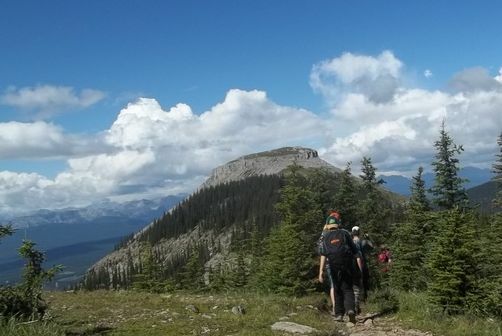 It's tried and true, our Week Long Summer Youth Adventure Camps. From the moment you arrive until the day you leave, you'll be challenged and amazed with a different adventure activity each day. It's fun and exciting. You'll make new friends, and perhaps meet up with some old friends as well. · Playing "Capture the Flag" or other field games. · Having campfires, learning star science, and lots more. When you arrive on day 1, you will meet your instructor and all of the rest of the campers. Just to get you going, we may take you down to the lake for a swim test (lifejackets may be worn) to get you ready for kayaking. After dinner, a hike around the area and playing some games will round off the day. Each day we get up pretty early, to get a head start. We do a bit of stretching and exercising to get your appetite going so you'll eat a big breakfast. Pack your lunches and you're off on your adventure. When you get back to the COE at night, you'll be pooped, but after a delicious supper, you'll be ready to go again. 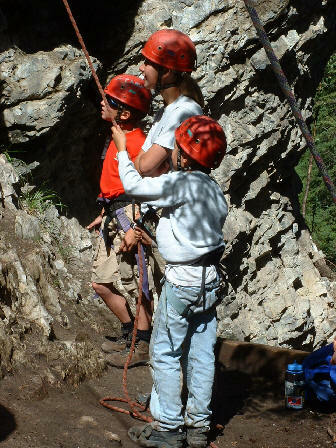 Come on out and get a "TASTE" of adventure on one of our Summer Youth Adventure Programs! Clothing (track suit for running, running shoes, sweaters, socks (lots), shorts, T-shirts and sweat pants) Avoid jeans except for indoors. · Sleeping bag and pillow (sleeping bag should be one that can be packed in a back pack) good to minus 10. Mail or e-mail in forms with a $150 deposit to hold your child’s spot on the camp. Drop off time: 4 pm Sunday. Please be on time, not any earlier thanks. Pick up time: Noon Saturday. Please be on time!